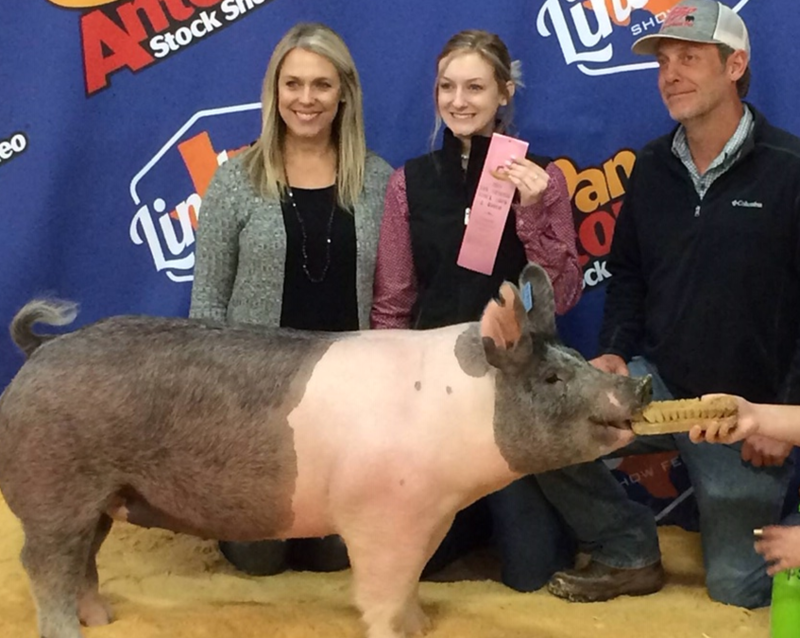 The San Antonio show is ongoing now and yesterday we note that one of our own, LHS senior Carly Hall, has placed a Crossbred Gilt in that show. Carly’s hog placed 4th in the Crossbred division in the breeding swine event. She also qualified for the sale to be held today. Carly is the daughter of Tosha and Shane Hall of Lampasas. This was her last trip to the San Antonio show. She plans to attend Texas A&M University this fall.